A few months back I received this book as a gift and I totally recommend it. The Can’t Cook Book has simple yet delicious recipes that anyone can follow. Here I took an idea from the book. 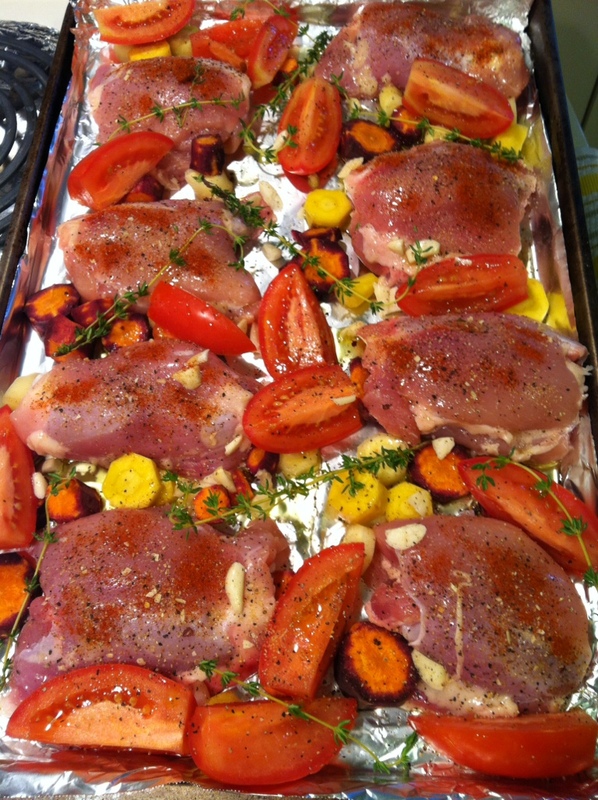 I placed skinless chicken thighs on baking sheet and sprinkled olive oil, paprika, pepper and onion powder. I added minced garlic, sliced carrots and tomatoes with some thyme sprigs. Bake at 350 for 30 mins until chicken is fully cooked. 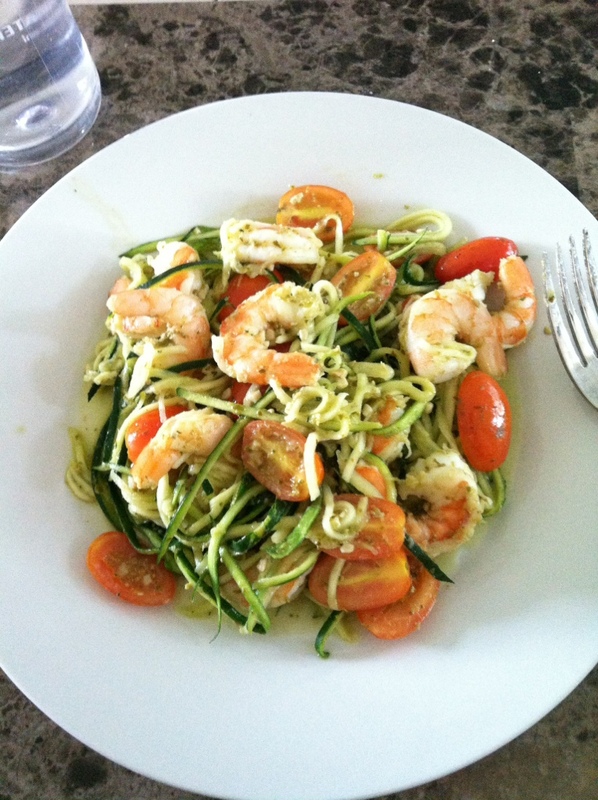 Here’s another version of cooking zucchini noodles with shrimp. Just toss all ingredients together in a skillet on medium-low heat. Stir everything together until noodles, cheese and butter have soften up and sauce has formed. Nothing was measured here. Be creative and it all depends on quantity you have available. I had 3 large zucchinis, 1 lb. of shrimp and half box of tomatoes. I added 2 tsps of pesto, 1 tsp of minced garlic, 1 tb of goat cheese and 1 tb of butter.